The Oh Canada Team is growing and expanding on a daily basis, and our admins are working very hard to keep up to date with everyone! We'd like to prevent the need for a membership cap in Oh Canada, so we have created these basic guidelines for membership. 3. List a minimum of 10 products in your shop. Help: Contact our admins/leaders if you have questions about listings. Shops that have a small product base - custom work, etc. - can still apply. This is sent out once per month, with occasional supplements of important team news. Members will be invited to our team via our subscribers list. 1. 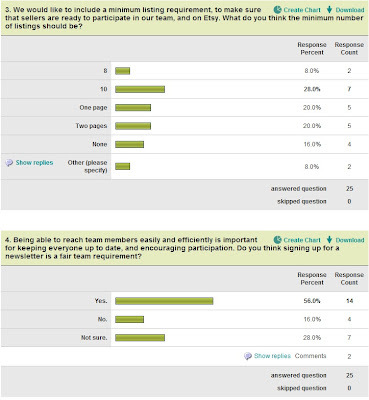 Use the team tag in at least 25% of your listings, or one in four. Tagging your items with OhCanadaTeam helps us locate you for treasuries, blog features and promotions. 2. Visit the current chat thread at least once per month. You can share a new listing, a treasury, a sale, blog posts or ask questions about handmade business! Links to the new chat thread will be posted in the Groups forum, here on the blog, and in our newsletters. 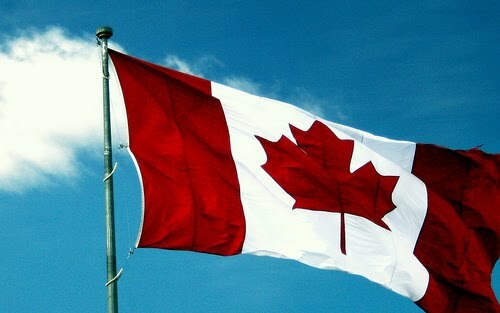 You can join Oh Canada with as many Etsy shops as you like, as long as each shop meets the above requirements, and is TOU compliant. Note: You only need one newsletter subscription, even if you have multiple shops. To add a second shop to the team, send a message to Team Oh Canada, and be sure to mention your existing team shop. 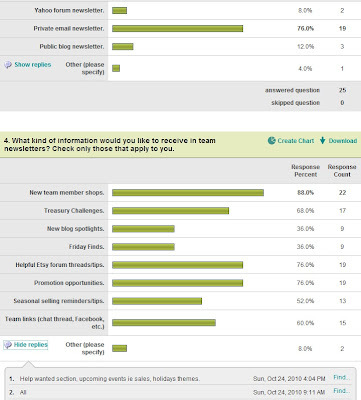 Team members recently completed surveys to help us create guidelines that suit the needs of both members and admins. Thank you so much to everyone who completed our surveys. Here are the results. You can click on the pictures to enlarge. The results were pretty much unanimous! 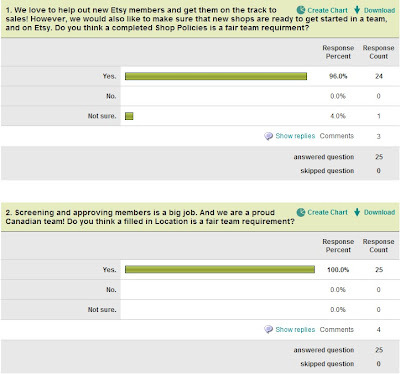 Having a shop policies, and a visible (Canadian) location will be a requirement for shops wanting to join the team. 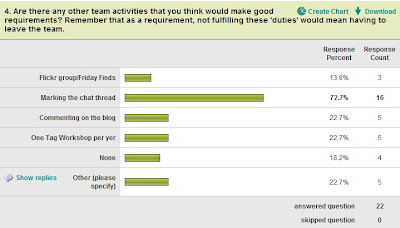 A ten listing minimum was the most popular requirement, which will become part of the new charter. We will make exceptions for shops that have an intentionally limited product line. This will really help with moderation, and encourage potential members to polish up their shops. We currently have a team newsletter through Yahoo, that goes out once a month, with an occasional mid-month supplement. This helps let everyone know what’s new with the team, and lets us share important links to keep everyone connected. 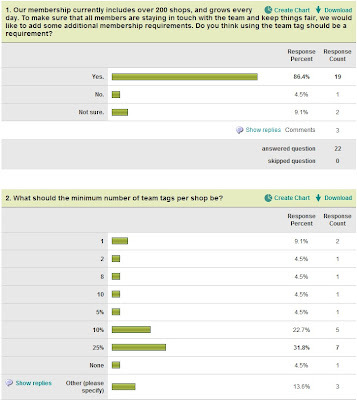 According to your votes, using the team tag on 1 out of every 4 listings is a suitable requirement for maintaining team membership. Etsy has announced that they will be creating a new team item search function in the future, but until then the team tag remains our most useful promotional tool. With the new truncated profiles and shop announcements, asking members to promote the team within their shops is a bit out of the question. We’ll set this aside until Etsy launched the new team features on member profiles. 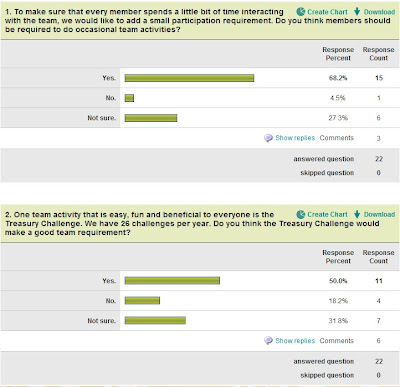 The results were mixed regarding what team members could do to show participation in team activities. For now, we will ask that team members post in the current chat thread at least once a month. Any thoughts? Please feel free to discuss in the comments, or in the November Chat Thread. Fantastic work you guys, It looks like most people are on board with the new ideas! Great job on this guys! I appreciate all the hard work you put in! Great work and we all appreciate how much time its taken to do this -away from crafting and selling in your own shops! This is great! Very well organized team. Thanks so much for the update and for all your hard work! Thank you so much for all the hard work you put in keeping this team functional and fun! Thanks you so much for all the hard work you have done with this. 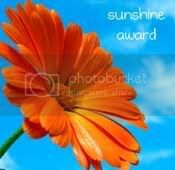 It is very much appreciated! Very well run! Thank you!! This is great... so glad I found the OhCanadaTeam! !